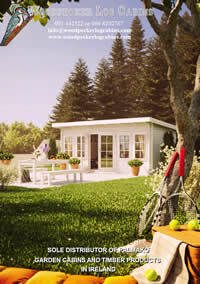 Woodpecker Log Cabins & Garden Sheds are available in kit for for self assembly. 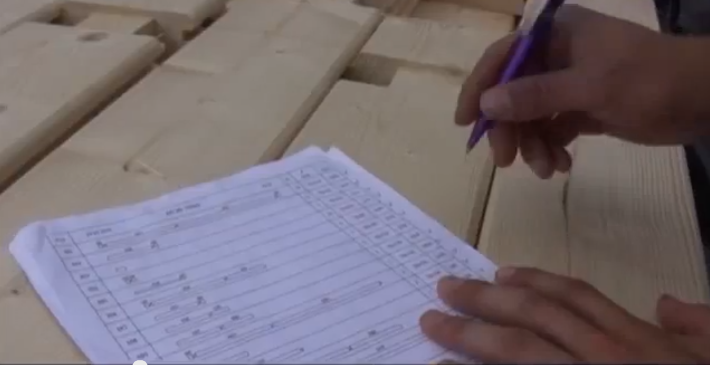 Each kit contains full instructions and you can always call if you need advice. If you are a competent DIYer, you should not have a problem as the cabins come with a full set of components all you need is some basic tools, hammers, screwdrivers, saw, plane, spirit level and some construction ability. Depending on your requirements and your level of skill, you can either let us handle the assembly or you can do it yourself. Roofing felt and preservative/lacquer are not included. You can source your own or we can supply a range of suitable products at competitive prices. First check your package and make sure that you received all components. Mark out where your cabin is to go. Create base/supports for your cabin, three main types would be solid concrete base, concrete and block pads or sleepers. The main consideration is that the base is level and firm. Construct the support frame. this has to be level and square. Use a damp proof layer between any cement work and the timber base. If you are including floor insulation now is the time to fit it. 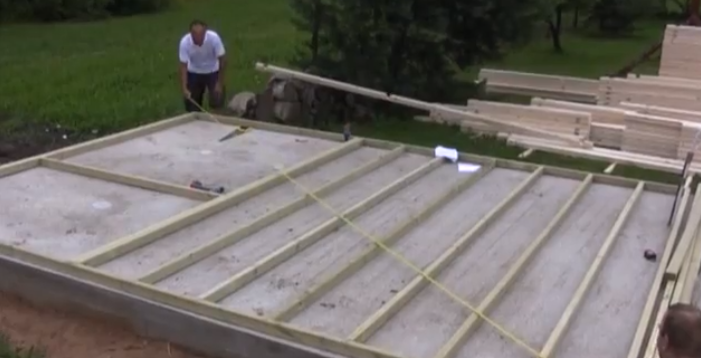 If you lay a moisture barrier between the base frame and the floor timbers insulation can be put between the flooring timbers and will stay in place. Assemble the walls following the instructions in the kit. Be careful not to damage the timbers. Walking on them is not a good idea either, a muddy or dusty footprint on a timber before it is treated could be there for the life of your building. Once the walls are in place, before you fit the roof, make sure everything is secure and level. 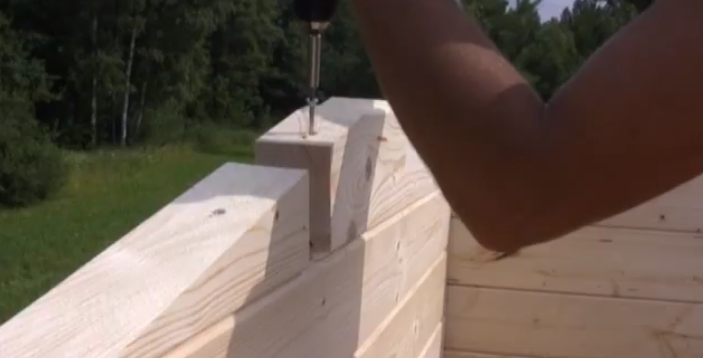 It is important to screw the storm battens in correctly especially in exposed positions. Now fit the roof timbers. If you are fitting gutters it is easiest to do before you apply the roofing felt. We recommend you use at least a really good quality felt as one of our cabins will last many years (20+) and a cheap felt may possibly leak after only 2-3 years. Add a ventilated skirt to the base of the cabin, stops children’s toys and vermin from getting under the cabin but also ensures that the support timbers stay dry. Apply your chosen finish to your cabin as soon as possible after it is erected, before it gets rained on. I little rain won’t damage the wood but it will leave permanent water marks that will show through many stains and lacquers.